Your wedding day is one of the most memorable moments of your life, one you never want to forget. Because we are expert at wedding photography, we can make sure that you will have those moments for the rest of your life. You’ll find the NYIT de Seversky Mansion at the intersection of West Road and Northern Boulevard in Old Westbury. It’s right on the campus of the New York Institute of Technology on Long Island’s North Shore. 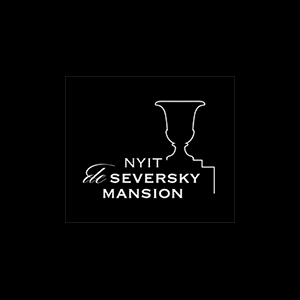 NYIT de Seversky Mansion is a popular venue for wedding celebrations because of the Terrace Room and the Grand Ballroom, while outdoors, they also have the Bluestone Patio. Built in 1916 for Alfred du Pont, the stately mansion is a revelation of early twentieth-century opulence. From the moment your wedding guests arrive, they will be welcomed by a team of professional valets. They are then led through the mansion’s limestone-columned vestibule to the breath-taking white marble lobby, with its elegant mosaic inlays. Invite your guests for cocktails on the Bluestone Patio, where you can all enjoy looking out over the tranquil lake. You can also use this are for your wedding ceremony, where you can have a white aisle runner laid out for your bridal procession. The mansion’s Terrace Room was once a formal dining area where many famous people have shared a meal and were entertained. The room’s focal point is its elegant marble fireplace, which is complemented but the wood-paneled walls and hardwood floors. The room is lit with sparkling chandeliers which help create a regal ambiance. The Terrace Room can comfortably accommodate 50 people seated at round tables or 70 people seated theater-style. You will fall in love at first sight with the Grand Ballroom’s vaulted ceilings, paneled walls and stone fireplace. Originally the mansion’s living room, this space affords dramatic views of the gardens and will comfortably accommodate 280 guests. Whether you want a Gatsby-style wedding, a European-style wedding, or a traditional wedding, NYIT de Seversky Mansion is the perfect venue. What’s more, they have their own team of professional wedding planners who will work with you to make your dream wedding become a reality. There is also an experienced culinary team at your disposal. The team is run by an executive chef who acquired his culinary skills at the Culinary Institute of America. If you prefer, the mansion can also fix you up with their preferred third-party vendors to provide floral arrangements, a wedding cake, hotels and a wedding band. Let us capture all your special wedding day moments you that you can keep them forever. Call us at your convenience so we can arrange a meeting. We would love to hear all about your wedding plans for NYIT de Seversky Mansion and it will give us an opportunity to show you our portfolio. We look forward to meeting with you.